Yep! You really do see what you see. 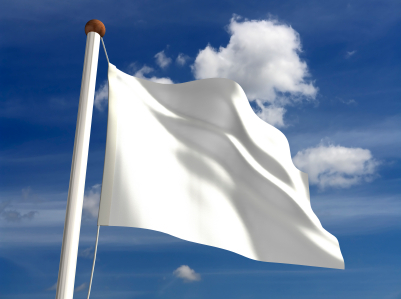 I am waving the white flag of surrender. Yesterday was a difficult day for me. I wasn’t able to do all the exercise I wanted to because it was so wet and rainy outside, juicing just didn’t sound good, and I so badly wanted something to eat. I simply didn’t feel like myself even though my body felt good. I gave in…but not totally. I have decided to put in one (sensible) meal a day along with 2 or 3 juices. I know what you are thinking and trust me, it took A LOT of battling to come to this point but 30 days was just too big of a hurdle for me. In hindsight, I should have started with 7 days and see if I could go longer. That is neither here nor there though and I am pressing on with this new plan. Naturally, since I am slightly changing my eating plan, I will be slightly be changing how I do this blog. I am going to surely finish the thirty days solely on this eating/juicing plan so you will still see “Day 6, Day 7, etc.”. Also, in addition to the juice recipes that I have each day, I will be sharing some healthy meal options with you. Anywhere from the all natural options to fish, chicken, and the always scary *sound effect please* beef options. So please, I hope you don’t hate me. I just broke down yesterday and needed to eat something. (If you are still wondering what I ate, it was a Lean Cuisine meal, so it wasn’t THAT bad…) I figure this is a better fit for me. Along with exercise, I will still see incredible results. Regardless, it is a far cry from the: two sausage biscuits for breakfast, leftover Chinese for lunch, and boxed TV dinner for supper that I was having. That isn’t even mentioning the 10:3o pm snacking where a bag of chips could suddenly disappear. I am happy with this new plan and I hope you are happy with it as well and I hope you continue to follow along. Well this will be a short list. The only juice that I had yesterday was a single pomegranate. It was delicious by the way. I in addition to the “Lean Cuisine” that I ate, around lunch time, I had a salad that a friend shared. Take a look! 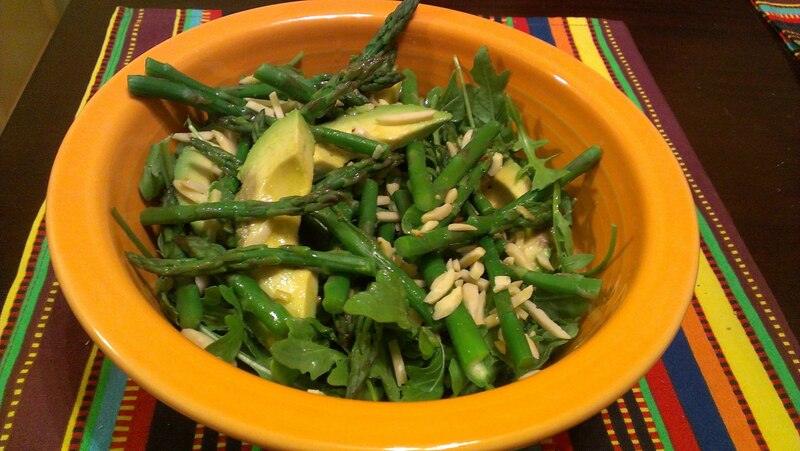 Arugula, Avocado, Asparagus, Almond – This has a citrus dressing and the asparagus can be eaten cooked or raw. Any greens will do but if you want to stick to the “A” theme and like a zesty punch go with Arugula. For the dressing, I simply juiced one orange and mixed it with a little olive oil. Alakazam! There you have it folks! A delicious, HEALTHY meal. It really is very tasty. Thank you to my friend Kathryn for the recipe and great picture! Hope everyone has a great day, JUICE ON! Don’t worry though. It was just to return a Redbox movie. Watch Looper by the way, I recommend it. Great flick. No, things are going great! 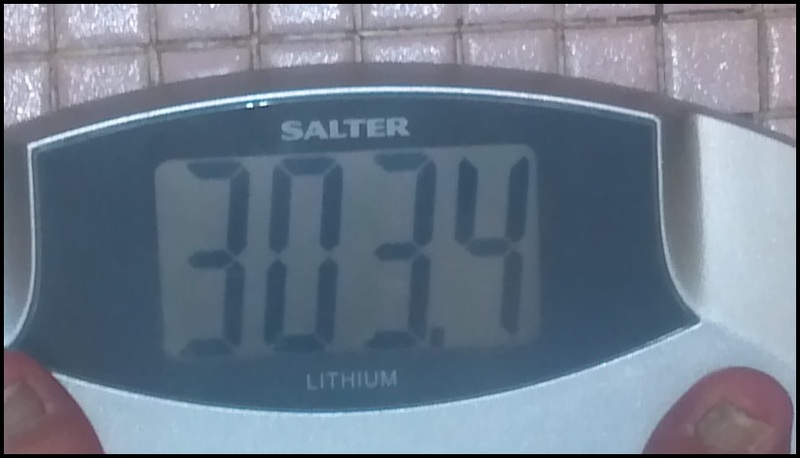 I am down to 301 lbs. Which is 14 lbs of weight loss in just over 3 days. Perhaps tomorrow, if I work hard enough today, I can be under 300? So far the most difficult thing has been cravings. Out of the blue I will think of the most tasty sounding junk food, restaurants that I want to visit. It is hard, that is for sure. I did do something very daring yesterday evening. I took wife, who is not juicing along with me, out to eat with some friends of ours and our kids. Naturally, we went to my most favorite place in town to eat. It smelled SOOOOOO good but I resisted. It was difficult but I happily sat at the table sipping on my Mean Green. I don’t have a ton to say today other than that I feel quite a bit better after kicking up the amount of water that I am drinking yesterday. I know I need to get more exercise in and still nailing down exactly how I am going to go about that. I feel like I need to do some extreme workouts to get the results that I really want. We will see. I have completed 3 days so that means I am one-tenth done. I will keep on plugging away and keep on working toward even better results. JUICE ON!!! Day number three is here and I have a confession to make: I FEEL GREAT!!! I am not hungry, I don’t feel the need to munch on anything, I feel alert. This is fantastic! Day Two is a big hurdle to get over and as long as you can focus and be determined to make it. Juice Fasting isn’t about making it to Day 30 or Day 10 or whatever your target is. Your goal in Juice Fasting is getting through each moment as if it were your last. After all, that is what we are juicing for, right? More moments! Just make it through today or even the next hour or even the next minute and you will have success. I know that it sounds like a lot of water but water is (obviously) great for you. We all need it every day and on top of that it eliminates toxins as well as reduces hunger. I am sure my hunger will return so I will be ready with more water in my body. How Is The Exercise Going? Well, I have so far done everything that I have committed to, that being 3-miles every day. I have done that each of the past two days and I will certainly be doing it from here on out. However, I feel the need to do so much more. I know I said I would be adding basic calisthenics to my 3-miles but I don’t think that is enough. Any suggestions there would be greatly helpful. Feel free to comment below with exercise suggestions. Last but not least I have to say something more important than anything else I have said in today’s entry… THANK YOU! All my readers so far have been overwhelmingly supportive of what I am doing and I can’t thank you enough. This isn’t easy but to hear things in comments like “I’m pulling for you” or “You can do it” makes it that much easier. Even just knowing that people are reading this helps tremendously. Watching the views go up throughout the day gets my heart going. So, I am sure I will say it again but thank you, thank you, thank you for all of your support! JUICE ON!!! Forget everything I was thinking last night. I have shed TWELVE pounds in just 24 hours! Holy smokes! I understand that it is mostly water weight but you have got to start somewhere. Me and juice have a date for the next 30 days with number one behind us. This is going to be epic! There you have it, a full day of juicing. 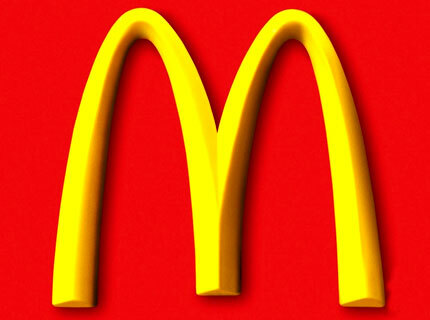 Like I said, I felt like garbage yesterday evening but I expected that since I am doing a 180-degree change in my diet. The detoxification process is going to be pretty significant. I also did my three mile hike through town. The city I live in is super hilly and that didn’t bode well for my out-of-shape body but I pressed through and didn’t stop once. I intend to do the three miles every day eventually picking up the pace to a jog and eventually a run. I did feel the satisfying post exercise exhaustion that I remember from High School workouts. That was pretty cool to experience again. The exercise is going to be difficult to keep up but I know it will only aide in my experience. Here I am, beginning Day Two. I am still hungry. I feel like my stomach is flat empty but I am going to press on. To think that I dropped TWELVE POUNDS in such a short amount of time is beyond encouraging. I can’t wait to see what juicing has in store for me next. JUICE ON! The day has come! 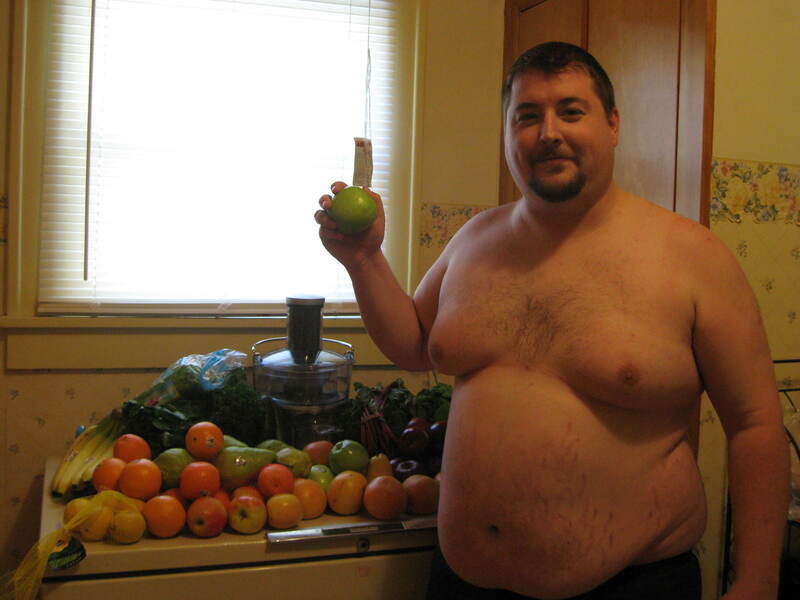 Today is the day I begin my 30-Day Juicing Reboot. Needless to say, I am pumped. I spent the last two weeks researching, trying different juices, and all around preparing for this day and it is officially here. 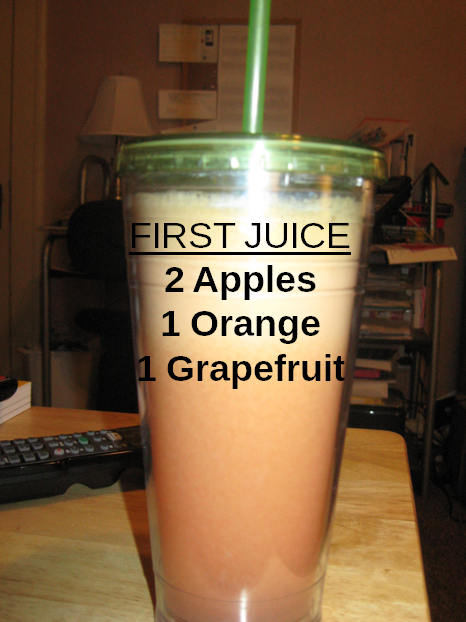 I woke up this morning and for my very first juice I spun out an apple, orange, grapefruit juice to kick off my fast. Of course it was tasty, glad you asked. Although, I warn you, watch out for those grapefruit. LOTS of juice and they sure can be sour sometimes. Lets talk about goals. The obvious health related goal is going to be weight loss but there is no way of actually setting a goal with something like juicing. It is a “take what you get” sort of approach. So, I guess it will be just a see where I end up after 30 days. 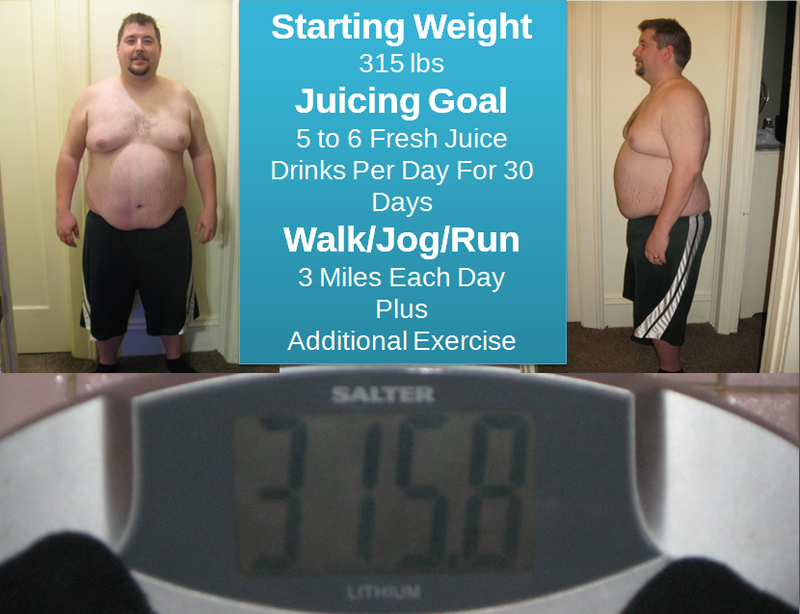 For those wondering, and I am sure that is next to everyone, I currently weigh 315 pounds at the beginning of my Juice Fast. A moment of honesty here, I know exactly how I got to be this heavy. It is simple. I flat out didn’t care about what I was putting into my body. There were times I almost treated it like a game. “Sure I can eat that massive plate of Mexican food!” or “Watch this! I am going to blow you away with how much I can eat!” I am done with that. Even though I had nothing to prove, I sure did a good job of proving it. I can flat out eat. Next, how am I going to go about juicing? It is as simple as having 5 to 6 fresh juice drinks every day. General recommendation is starting with fruits in the morning and then working my way into veggies throughout the day. Specifically into leafy greens such as spinach and kale. My additional goal goes along with any new diet regiment, exercise. I am committing to walking, jogging, or running 3 miles a day. In my mind, that sounds like a piece of cake. (NO ANDREW! Not cake! You can’t have that!) Okay, in my mind, that sounds like a piece of carrot. See, in high school I was a student athlete. It took a lot of work but I had no problem running a few miles, especially my Senior year. I played soccer and basketball. As a leader of the team as a Senior, I worked my tail off to be the best I could be as both an inspiration to my team as well as myself. It is time for me to focus that same passion in my life today. Not just for me but for my wife and two daughters. I will additionally be doing other simple exercises with my 3 miles, basic calisthenics, etc. Sharing this picture alone is a driving force for me to change. I can’t make this sort of thing public and not do everything I possibly can to change it. I am committed to change. I am committed to health. I am committed to juicing! JUICE ON! I have heard time and time again the past few days since deciding to go on the Juice Fast that produce is going to be “so expensive” and “you’re going to have to have so much produce on hand”. Well, that is sort of true. However, I believe I have a solution to combat what could be a very, very costly endeavor. A course of action is always appropriated when life change is on the line. MAKE A MENU — There is NOTHING wrong with meal planning. I know it can be fun to be whimsical in your juice making; just throw a few fruits and veggies together that sound good at the time. The problem with that is you might be taking away from other juices you can make between now and the next time you hit up the market. Take the time to sit down and **gasp** do the math to figure out how many of each specific fruit and vegetable you are going to need throughout the week. My diet will consist of 5 to 6 juices each day. That gives me a pretty solid idea of how much I am going to need per day. Just take the time. It is worth it to not be wasteful. 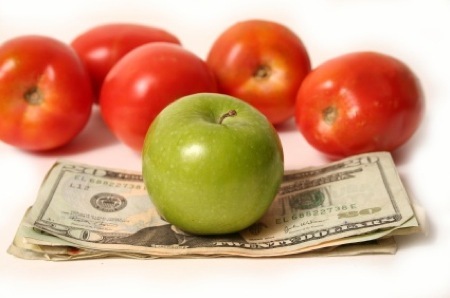 SET A BUDGET — I am pretty well set on $6 per day or what totals $180 for my entire 30 day Juice Fast. If I know I am going to the market every 10 days and plan to spend $60 each trip, I can plan better for what I am able to buy. Some days it will be a little higher and some days a little lower considering produce prices fluctuate so often. That is okay though. As long as you have a guideline, you are going to be much better off. $180 for 30 days of eating may not exactly sound cheap but it is a lot better than eating fast food three or four times a week and a couple sit down dinners with the family at ten bucks a plate. I’ll take the juice. DON’T BE WASTEFUL — Often when we eat our veggies and fruits there are parts that we cut off because we don’t like the skin or we might get seeds in our meal or something as obvious as cutting off the greens. None of that matters in juicing. There are valuable nutrients in every part of the fruits and veggies we juice. Greens are the most important thing to keep. Don’t throw them out!!! Just juice them right along with the rest of the fruit or veggie. I am sure there are more ways to make sure juicing won’t hurt the wallet too badly but then again, I am still a newbie to Juice Nation. I will more than likely find more tips and tricks along the way that I will gladly share with you. We are getting closer to my Reboot! Only three days to go! I hope you are as excited as I am.